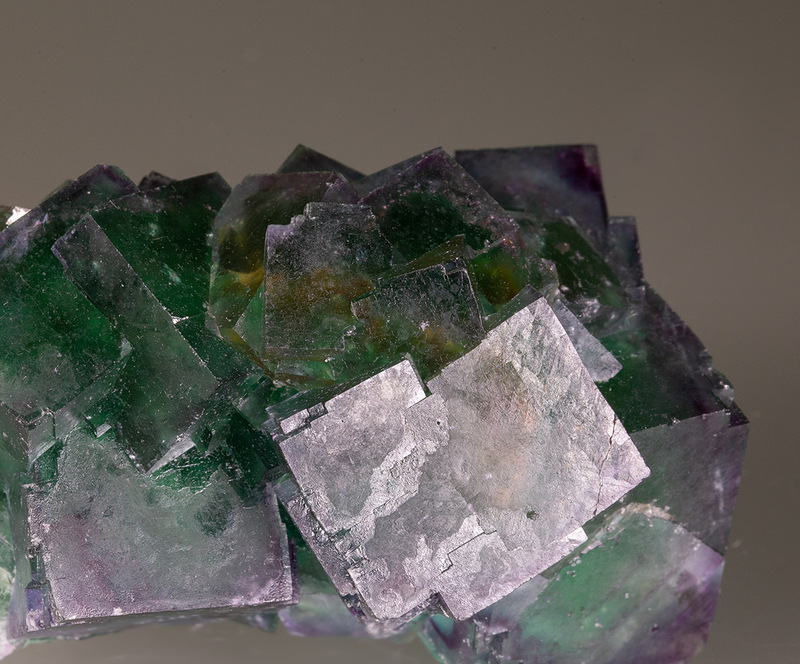 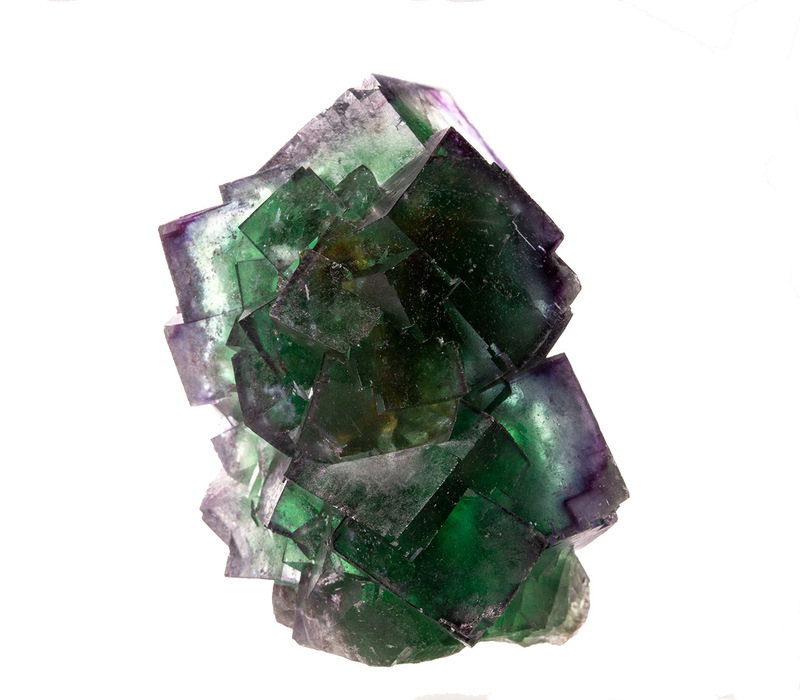 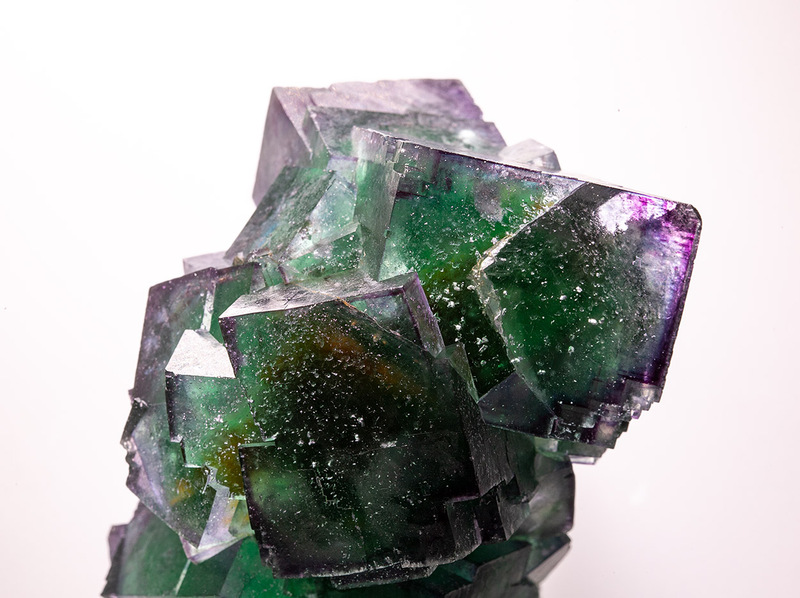 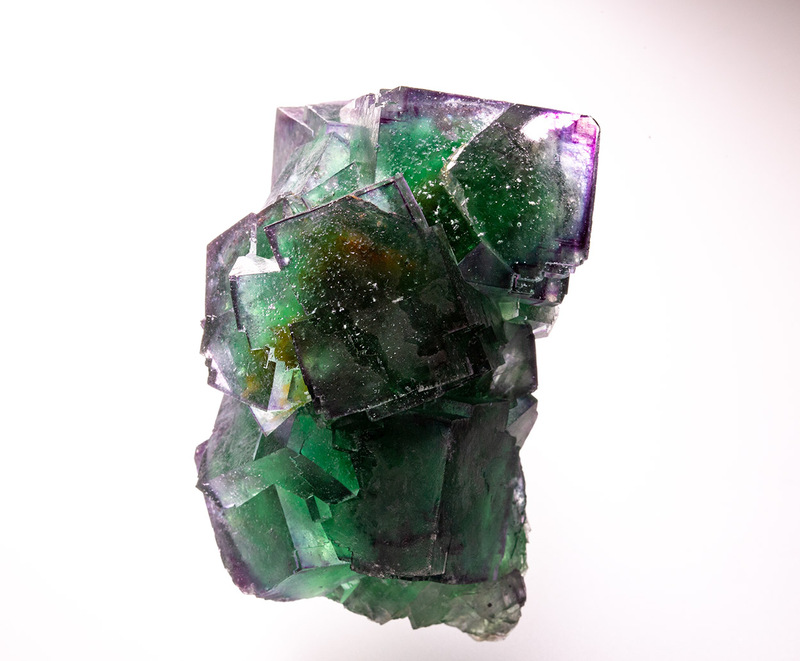 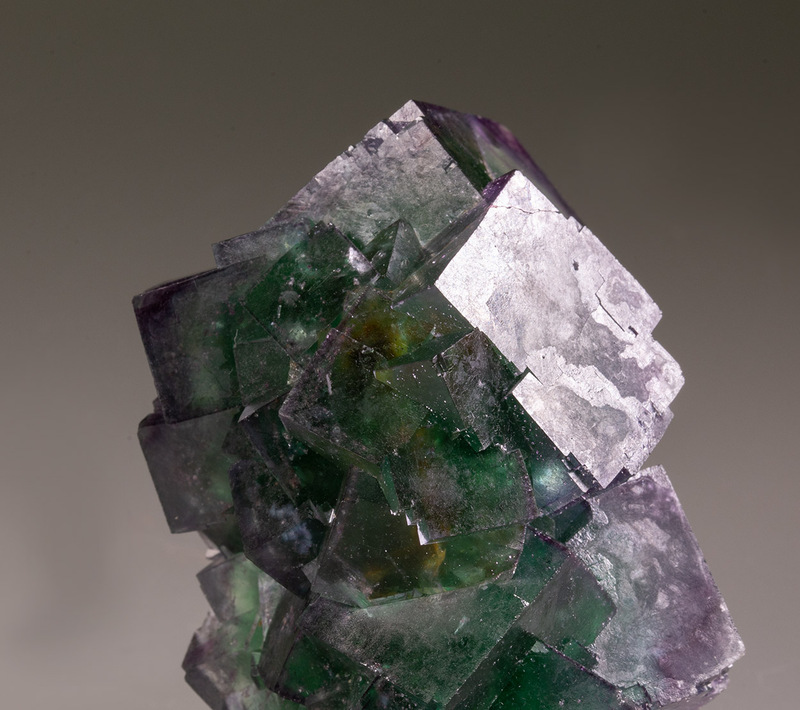 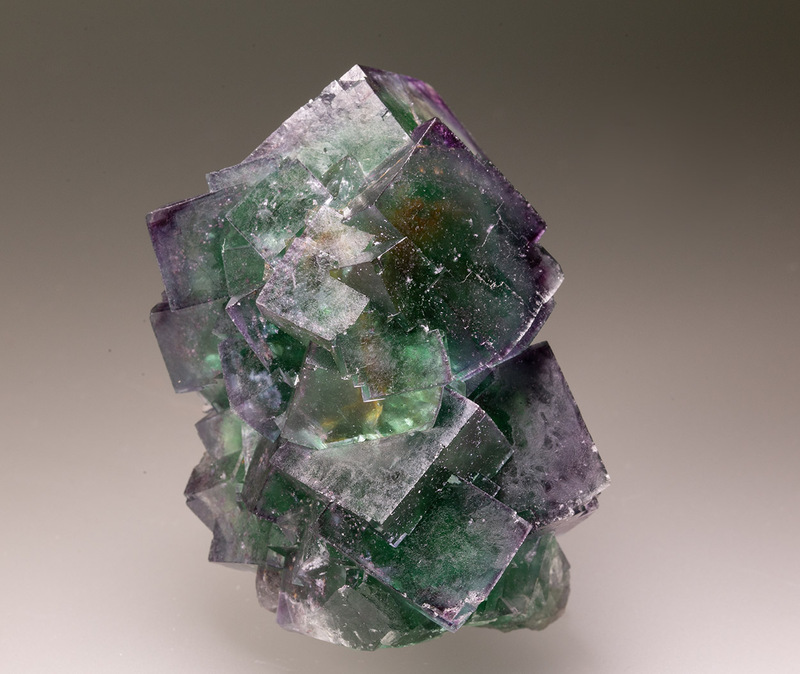 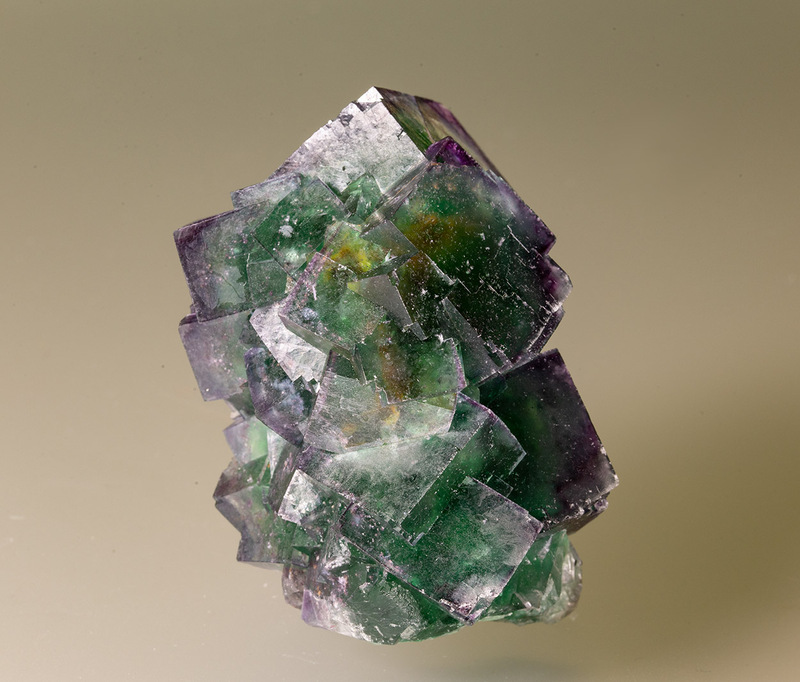 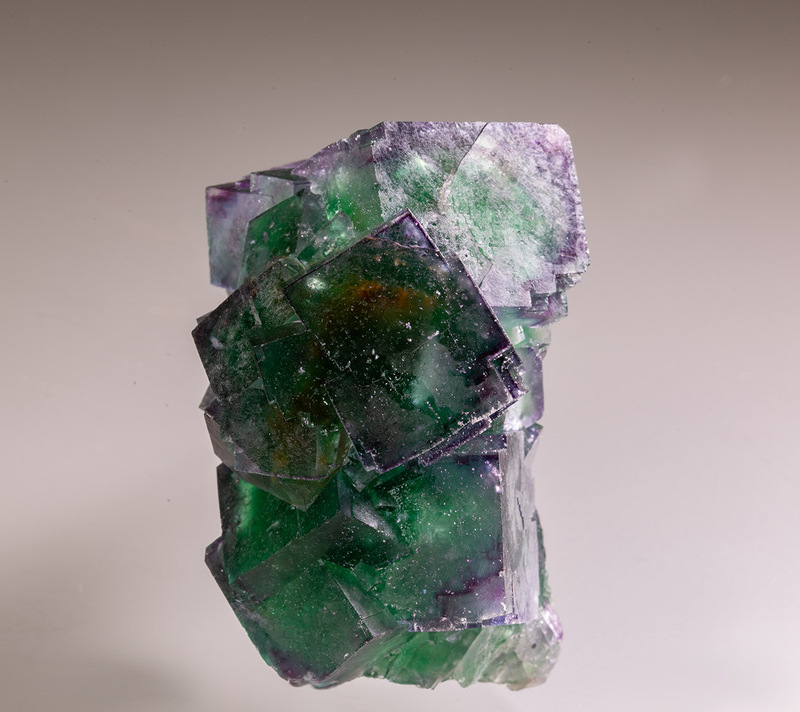 Fine fluorite specimen with translucent crystals up to 3 cm showing a green, purple and clear zoning. 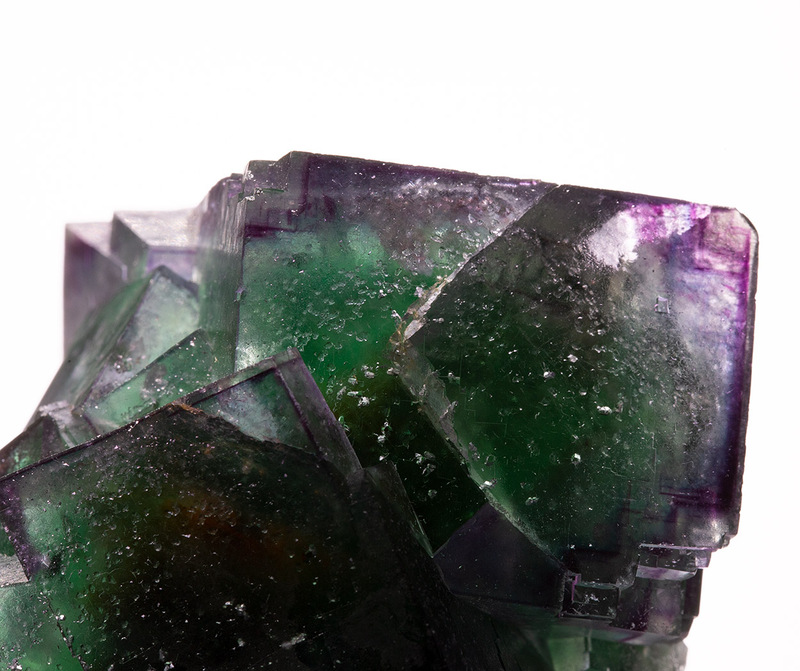 Only slight chipping along the edges of some crystals. 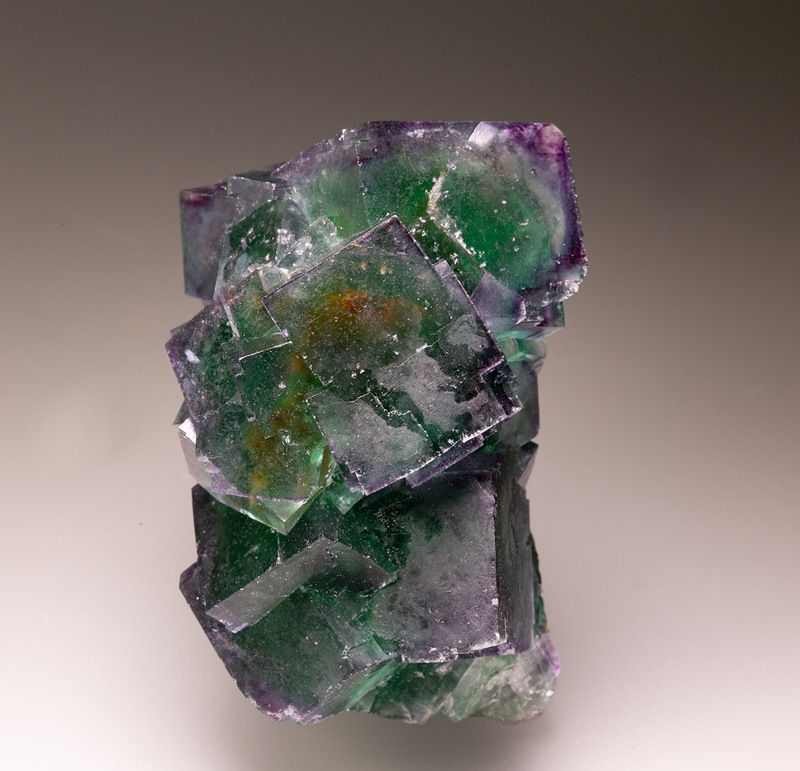 Very attractive particulary with back light.